Sigrun Marie Moss and Kjetil Tronvoll explore the rise and fall of reconciliatory politics in Zanzibar. They ask how and why intergroup relations underwent such a positive change, and why this shift seems to be reversing. Sigrun is a PhD candidate in Social Psychology at the Norwegian University of Science and Technology. Kjetil is a Senior Partner at the International Law and Policy Institute. A fuller account of their research can be found in the Journal of East African Studies. Identity formation is at the core of many political processes. In situations where political leaders and their followers can find a shared, overarching identity they can move from antagonistic to amicable relations, and vice versa. Based on extensive on the research on the ground, we have analysed the rapid improvement of intergroup relations seen in Zanzibar, Tanzania, prior to the 2010 elections. The need for a shift in intergroup relations in Zanzibar was clear. Since the reintroduction of multi-party system in 1992, the country has been marred by intergroup conflict, especially around election times. Conflict has coalesced around divisions between the incumbent party Chama Cha Mapinduzi (CCM) and the equally large opposition party, the Civic United Front (CUF). People in both parties share language, religion, culture and traditions, but the CUF and its many supporters have long been economically and politically marginalised. The CUF-CCM divide mirrors, to a certain extent, the divide between the larger and more developed island of Unguja and the smaller, less-developed island of Pemba, which is a CUF stronghold. The CUF accuse the CCM of stealing every election victory since 1992, turning election periods into times of unrest and violence. In November 2009, following a surprising meeting between the leaders of both parties, this started to change. Our article in the Journal of Eastern African Studies focuses on the period from July 2009 to July 2010, based on approximately 1300 interviews in this period with citizens, political leaders and civil society leaders, which we combined with participatory observation. Drawing on social psychology, we argue that social relations in Zanzibar transitioned through three phases. Between July 2009 and 5 November 2009, polarization and antagonistic public discourse persisted on the islands, producing violent clashes in the early stages of the voter registration for the 2010 elections. During this phase, CUF representatives in the strongholds on Pemba still referred to the CCM President as ‘the devil’. Between 5 November 2009 and February 2010, the area entered a period of limbo, which was wrought with ambiguity. This period was triggered by the creation of a dialogue between President Karume of the CCM and CUF leader Seif Sharif Hamad (known as Maalim Seif). Both leaders agreed to work together for a peaceful Zanzibar, and Maalim Seif recognized Karume as the president of Zanzibar, something that the CUF had previously refused to do. Talks were met with incredulity on both sides. As time went on, however, many tried to come to terms with these political developments. Cautiously, CUF representatives in the Pemba stronghold stated, ‘we trust Karume – for now’. Finally, between February 2010 and July 2010, the reconciliation process began to take hold. Suddenly, CUF representatives were claiming, ‘Karume is a hero and a gentleman’. During this period, talk of a common, inclusive, Zanzibari identity increased. Changes in social relations quickly emerged, evident in inter-party friendships; diversity at social ceremonies; mixed tables (compared to party-specific seating) in the House of Representatives; neutral (rather than politically negative) songs at weddings; and the wearing of both CUF and CCM clothes or symbols simultaneously. 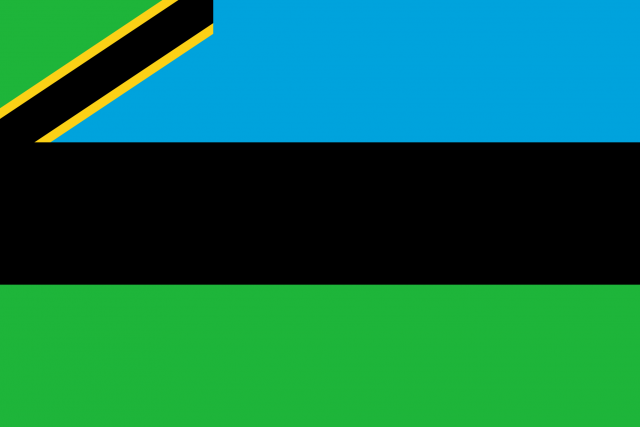 In a July 2010 referendum, 66 percent of Zanzibaris voted yes to the establishment of a Government of National Unity after the October elections. After a remarkably peaceful election campaign and election process, CCM won the elections with 50.1 percent of the vote, over CUF’s 49.1. This result was announced after hours of intensive negotiations at the main voter-tallying center in Stonetown, where party leaders and elders were brought in to ‘settle’ the actual outcome of the vote. As such, the election result should be seen as an integral part of the maridhiano reconciliation process. Subsequently, the peace held and a CCM-led coalition government was established. We explain this process as one of ‘recategorization’, in which intergroup relations were improved by focusing on an overarching shared identity (here Zanzibari) over the different group identities. This overarching focus should lead to the inclusion of former outgroup members into a shared ingroup, which should increase pro-social behaviours and evaluations of the former adversaries. We argue the shared Zanzibari identity increased in salience, helping intergroup animosity to decrease. To understand why this shift happened now, we compare the maridhiano process to former failed peace processes in Zanzibar (the so-called Muafaka agreements), stressing shared goals, intergroup communalities, leadership dialogue and cooperation, and focus on the superordinate identity. In focusing on the superordinate identity, the shared Zanzibari focus against Tanzania mainland (focusing on Zanzibari interests and rights vs the Mainland/Union government) helped to propel the process forth. Thereby, as the CCM-CUF dichotomy became a less prominent force in the archipelago’s political discourse, the Zanzibar-mainland dichotomy on the other hand increased, as calls for more Zanzibari sovereignty grew stronger. This study emphasizes the potential for reconciliation embedded in identity formation, and the role of political elites in so doing. The material demonstrates that elite-led political discourse can increase or decrease political tension and thus initiate social identity transformation. Zanzibaris clearly share significant parts of their identity, and can draw on these commonalities to come together over shared issues. Sadly, subsequent developments have demonstrated the acute vulnerability of such common identities: what can be made to seem shared can again be replaced with what is different. At the time of writing this blog-post (August 2015) the Government of National Unity in Zanzibar is facing significant challenges due to a renewed polarized political context created by the flawed Tanzanian Constitution process, and fuelled by the upcoming general elections in October this year. With a unity government comes the promise of hope, better times and real power-sharing; making the breaking of promises that much harder to swallow for the opposition. The 2015 elections will be the most contested elections in Zanzibari – and indeed Tanzanian – history, indicating a turn away from the newly emphasised “Zanzibar kwanza” (Zanzibar first) back to “Siasa kwanza” (politics first). Previous articleBuhari and Boko Haram: A return to brutality?